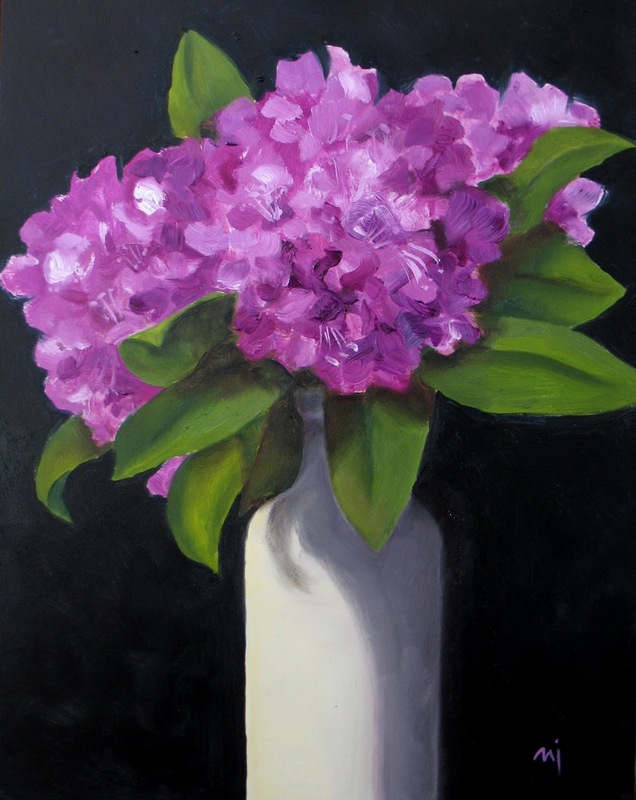 Oil on Hardboard, 14" x 11"
We have a rhododendron (I had to look that up, I always thought it ended in an "M") bush in the back yard, evidence that at one time, probably when this building was a single family home, that someone loved and cared for the yard. It's lovely, so I clipped a few blooms to paint this morning. The painting turned out simple and dramatic.